Want to join us in making a difference? We are raising money for The Well Path (Well Path), and any donation will help make an impact. Thanks in advance for your contribution to this cause that means so much to us. 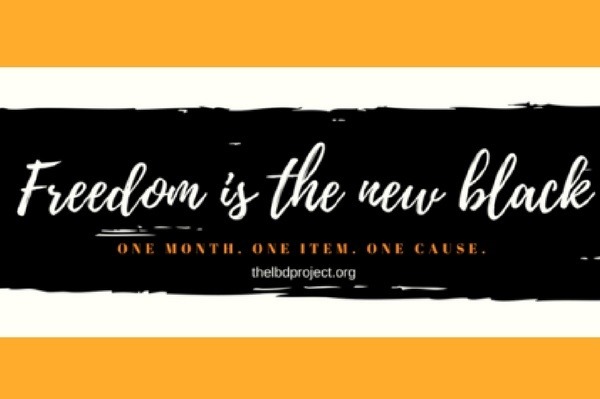 About this campaign: The LBD.Project is when people around the globe wear one black item each day in March to create awareness for and raise funds for organizations fighting human trafficking. This year, our program is a LBD.Project partner organization! Please donate $10 or more to support the work of providing sanctuary to survivors of exploitation through our organization,The Well Path! If you want to join the LBD.Project, wearing a black item to raise funds for The Well Path, be sure to register at https://www.thelbdproject.org and join this fundraising team! More information about The Well Path (Well Path): The Well Path is driven by a single goal; to reduce recidivism back into a life of exploitation. We strive to equip survivors of human trafficking and sexual exploitation through peer support groups and coercion resiliency based diversion programs, which build productive relationships that make a positive impact in the lives of our participants. We offer emergency exit strategies by providing emergency shelter and resources to leave a life of exploitation, and promote financial and educational opportunities in order to provide avenues to higher education and greater stability for the future. We encourage our clients to seek healthier ways to reach full well-being by providing access to resources that lead them to the spiritual, mental, social, environmental, physical, legal, and financial paths in healing. Our current goal is to open our first home by July of this year! Find out more here..